In 1861, the same year the post office opened, their timber rights were acquired by the Rathbun Lumber Company. At its height Petworth boasted a population of about 200. It included a hotel, two grocery stores, two blacksmith shops, a Methodist church and a school. By the 1880s, it had added a second flour mill. A steady stream of loggers kept the hotel busy during logging season. 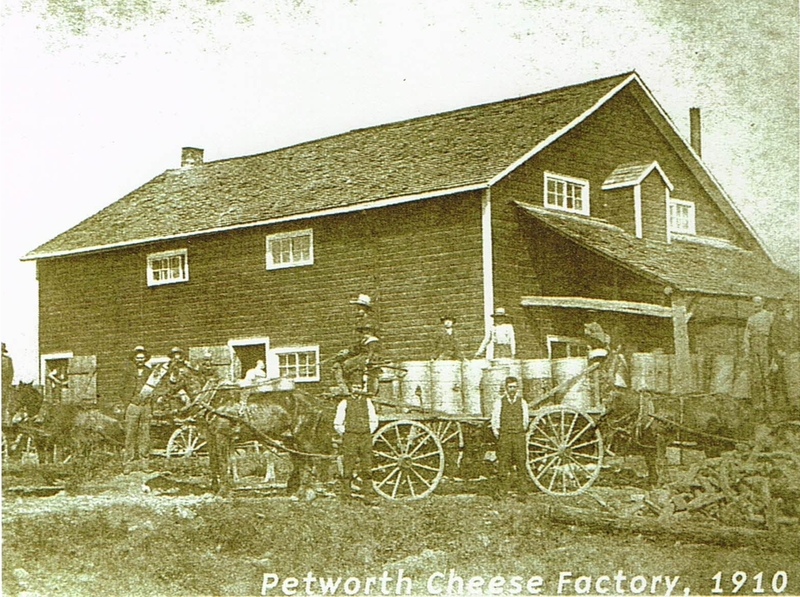 By the early 1900s, Petworth's days as a lumber town had come to an end. Sixty years of steady logging had decimated the surrounding lumber supply. Petworth also had the misfortune to be bypassed by the railway, which left its remaining industries at a serious disadvantage. Petworth was never completedly abandoned. By the late 1990s, it still contained a handful of residents and a number of interesting old structures, such as a derelict schoolhouse, an old blacksmith shop, and the ruins of the mill. Have something to say about Petworth?